The 'War on Terror' Narrative analyzes three types of data--presidential speeches, U.S. media discourse, and focus group interviews--to provide a longitudinal and holistic study of the formation, circulation, and contestation of the Bush administration's narrative about the "war on terror." The narrative sustains, in Foucault's terms, a "regime of truth" by placing boundaries around what can meaningfully be said and understood about the subject. Adam Hodges illustrates that even as social actors resist the narrative and the policy it entails, they appropriate its language to be heard and understood. While this often works to strengthen the narrative, discourse is inevitably reshaped as it enters into new contexts. This recontextualization allows for the introduction of new meanings, and therein lies the potential for resistance and social transformation. 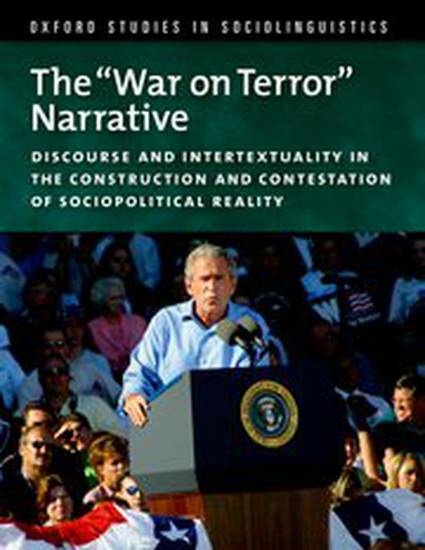 Hodges argues that applying ideas on intertextuality to the analysis of political discourse is central to understanding the way micro-level discursive action contributes to macro-level cultural narratives like the Bush "War on Terror" narrative.